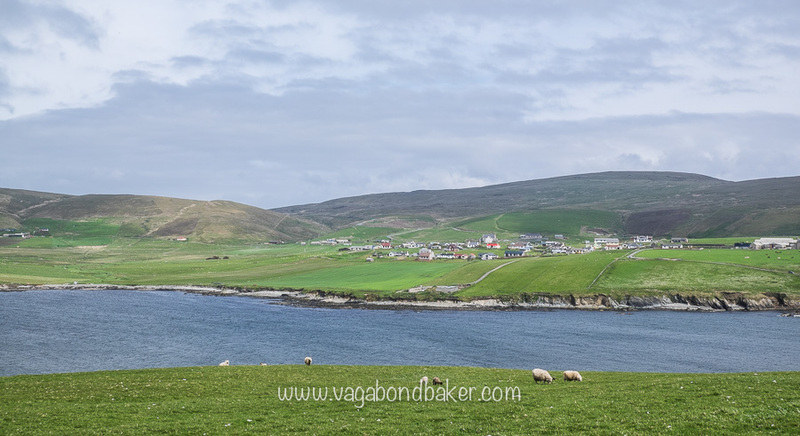 Shetland is an archipelago to the very north of Scotland, a group of islands with the Atlantic ocean to one side and the North Sea to the other, this is as north as the British Isles get. Here are the ways Shetland will surprise and amaze you. They certainly amazed me! 1. It’s a Little Bit Nordic! 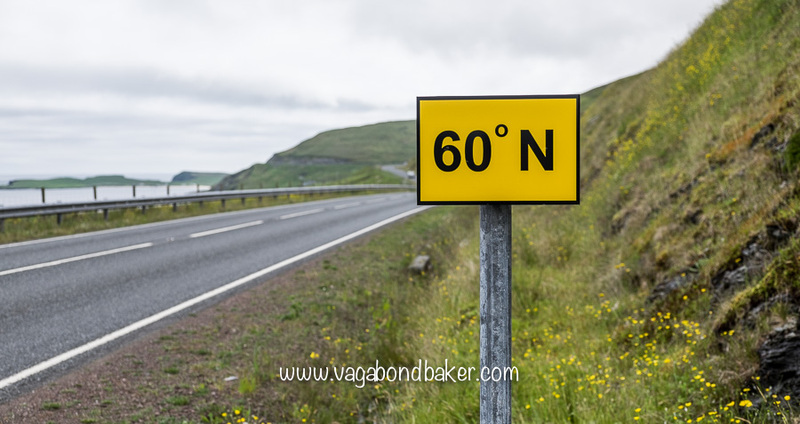 Sail due east from Shetland and just beyond the horizon you’d see Norway; Shetland is equidistant to Bergen as it is to Aberdeen on the Scottish mainland. 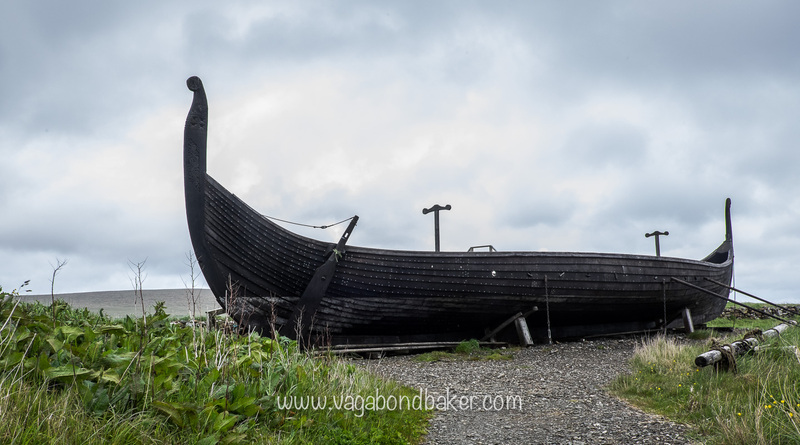 For hundreds of years following the Viking period Shetland came under Norwegian rule until it was pawned to Scotland in the 1500s, and that Nordic influence has never truly been lost. Even the ancient Norn language hung on until the 19th Century, although all that remains now are place names. 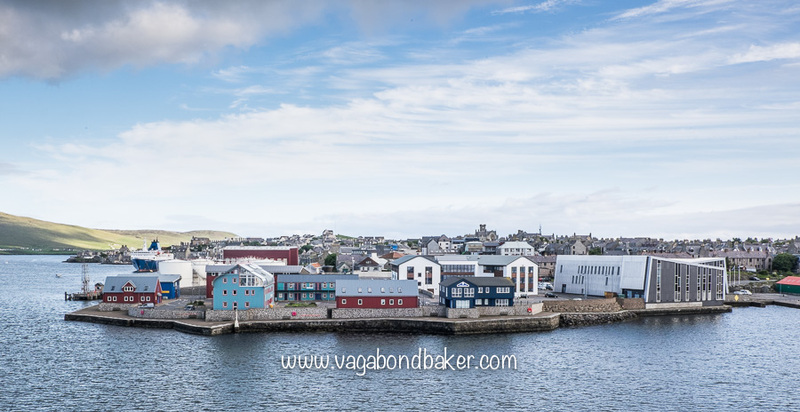 When you first arrive in Shetland, whether by boat or plane, you will soon get a feeling you have found yourself in somewhere a little bit Scandinavian when you see the colourful wooden houses: far more reminiscent of Greenland or Norway than Scotland. They look so cheerful, especially on a grey wet summer day. 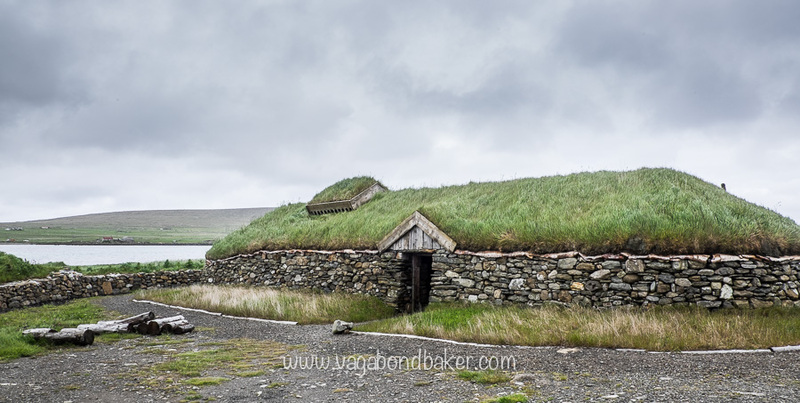 Shetland is littered with Viking and Norse archeology from Viking longhouses to the remains of Norse farmsteads. On Unst you can step inside a reconstructed longhouse – it is surprisingly cosy, as well as see a longboat. In January the Up Helly Aa festival celebrates this Nordic heritage: a fire festival with a torch-lit ‘Viking’ procession that culminates with the torches setting light to a replica longship. I’ve only seen images but I would absolutely love to experience it one year! Even the Shetland flag is Nordic, a Nordic cross in the colours of the Saltire (the Scottish flag). 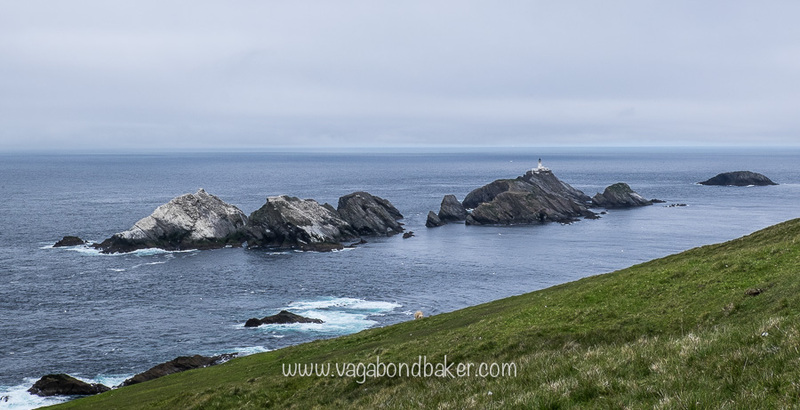 Muckle Flugga Lighthouse, this is as north at the UK gets! 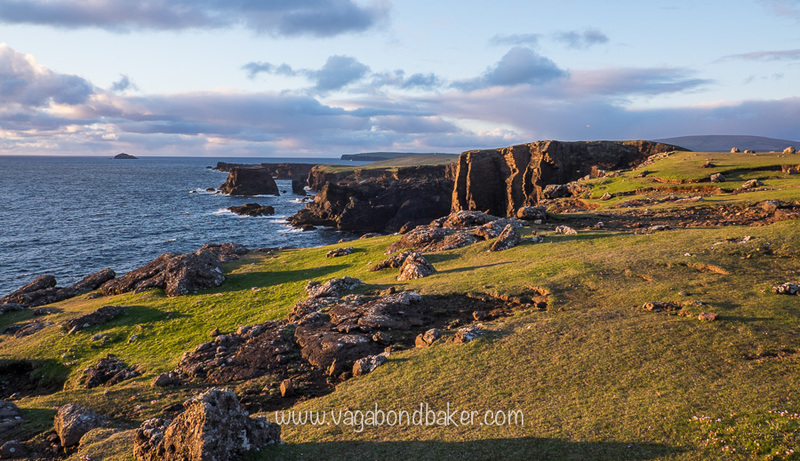 Shetland is a land of stark moorland crisscrossed with ancient stone dykes, water is almost always in view and the coast reveals dramatic geology as the land drops to the sea. Trees are a rare commodity, probably originally cleared for construction and fuel. Centuries of sheep farming has prevented the forest from returning leaving a spectacular open landscape of unobstructed fine views. Much of the landscape is peat bog, an extraordinarily important and vital natural environment. In the summer the peat is cut in a traditional fashion and left to dry neatly above the gash. It is used as fuel, a valuable resource in the past in a land without wood. Get your camera out, you are going to use it a lot on this photogenic scenery! With so much coastline, craggy sea cliffs, boggy moorlands, sea lochs and inland lochs, Shetland is bursting with wildlife. 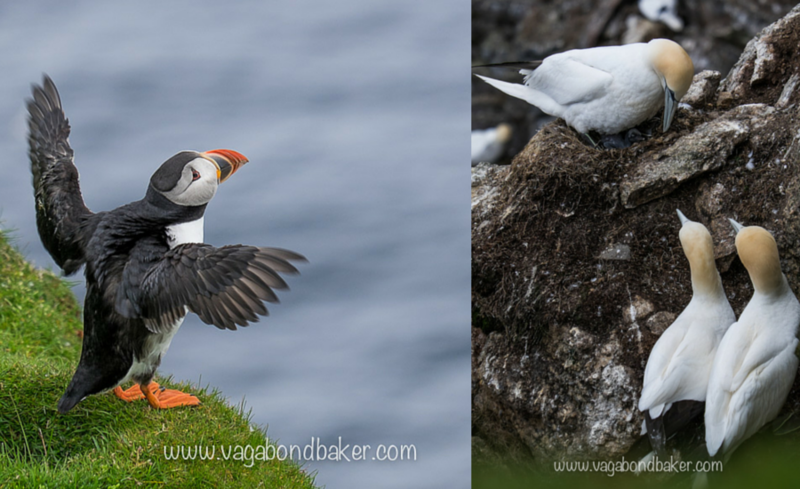 Seabirds nest noisily in their thousands on the cliffs, while otters frequent the inlets and sea lochs. The lochs and bogs provide nesting sites for rare divers and the dainty phalarope. 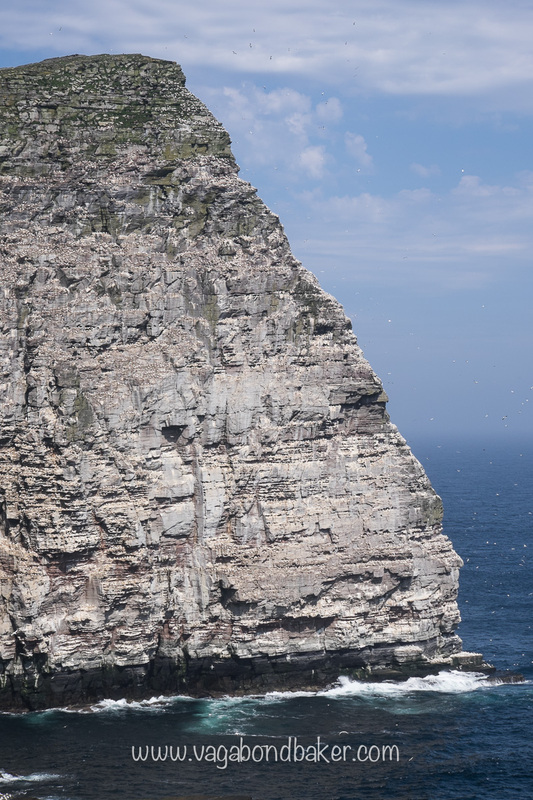 The gannet colonies of Noss and Hermaness are incredible to experience: the sound and the smells are overwhelming! And everyone loves puffins, right? Well they are seen in many sites around the islands, busily nesting in burrows above the cliffs. 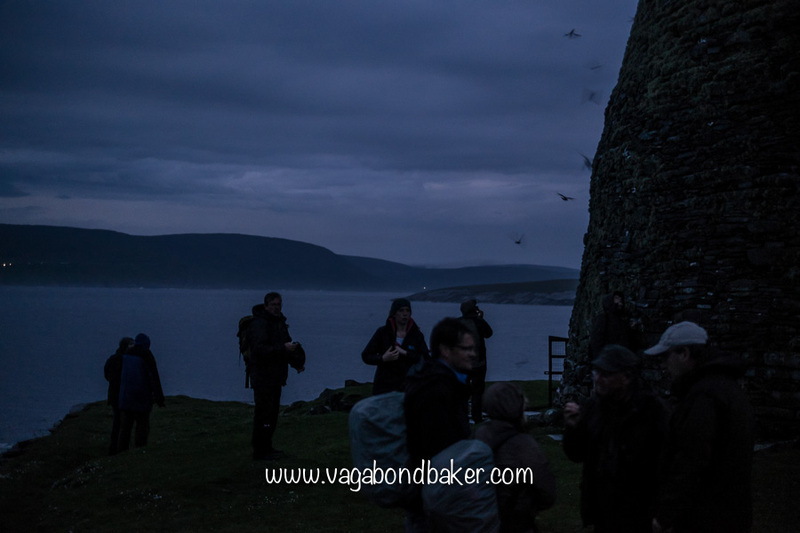 For something completely different a midsummer midnight visit to Mousa Broch will reveal thousands of tiny Storm Petrels returning from the sea under the brief cover of darkness to their nests in the ancient tower. 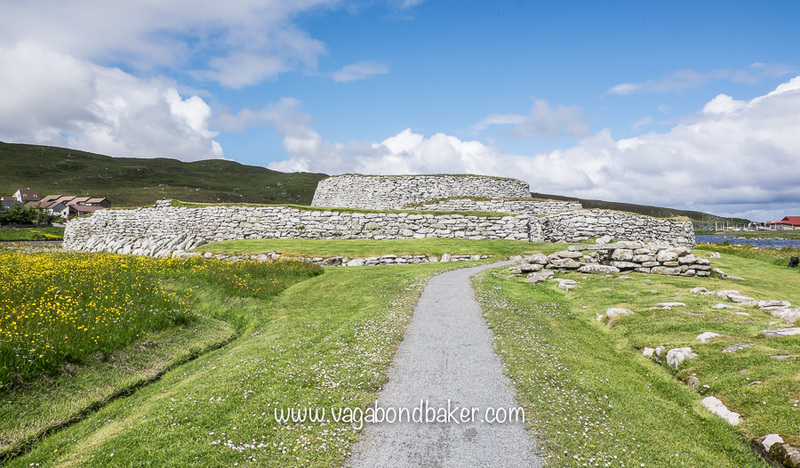 They swirl around the broch like feathered bats, a surreal sight. If you are very lucky you may even spot a whale; dolphins, porpoise fish in the sounds while grey and common seals breed in quiet bays. 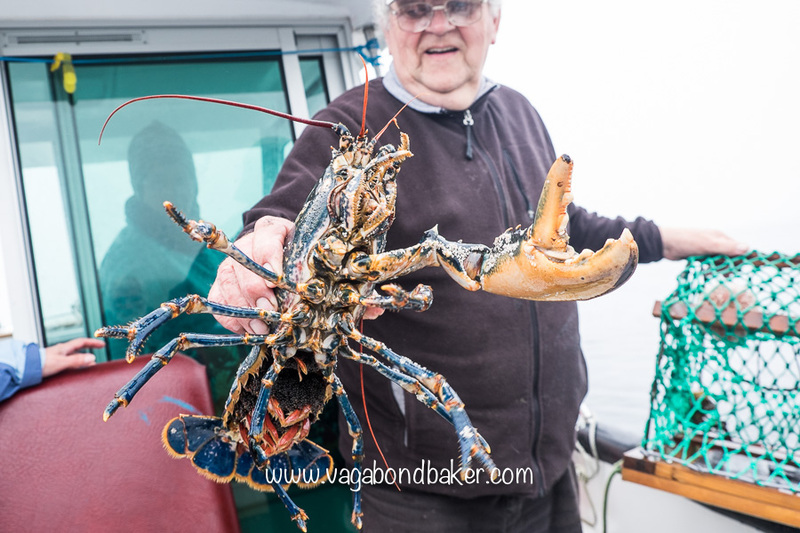 Under the waves spectacular blue lobsters find themselves trapped in netted creels, a patient wait until a fisherman will draw it up onto his boat. If they’re laden with eggs then it’s back into the water, if not then its destiny is the pot. 4. There’s Plenty of Cake! 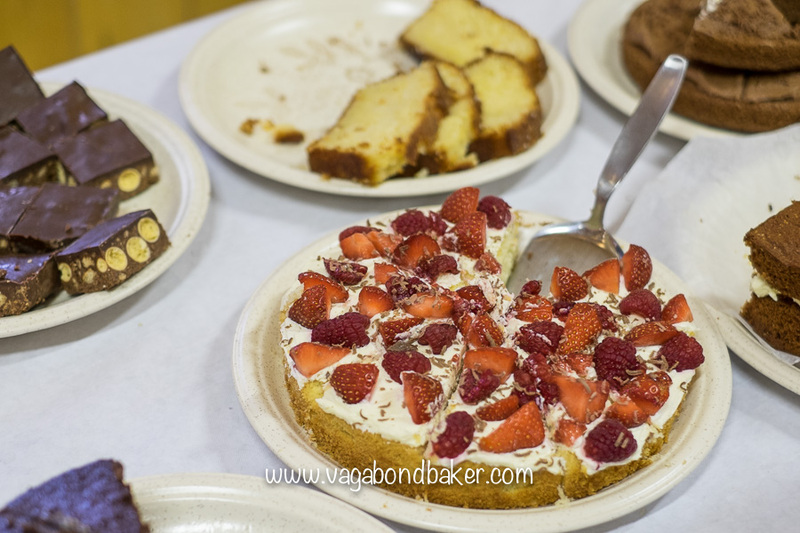 Across Shetland community halls open their doors on Sunday afternoons for ‘Sunday Teas’. Tables are bounteous with home baking, sandwiches, pancakes and quiche: a feast to raise money for charity. 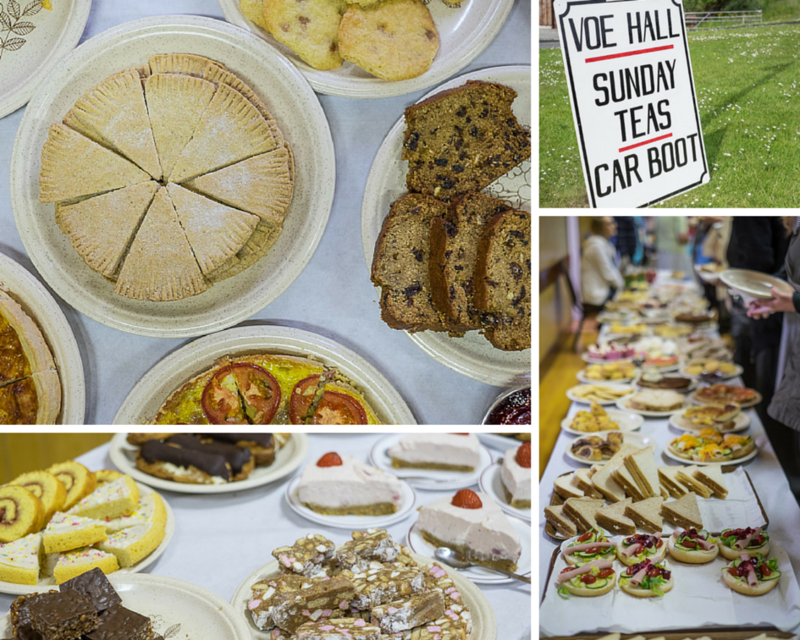 Often the Sunday Teas are combined with something else such as a plant sale, a jumble sale or an indoor car boot. They can be wonderfully busy, a great place to meet the locals and contribute to local causes by greedy plate-filling and tea sipping! 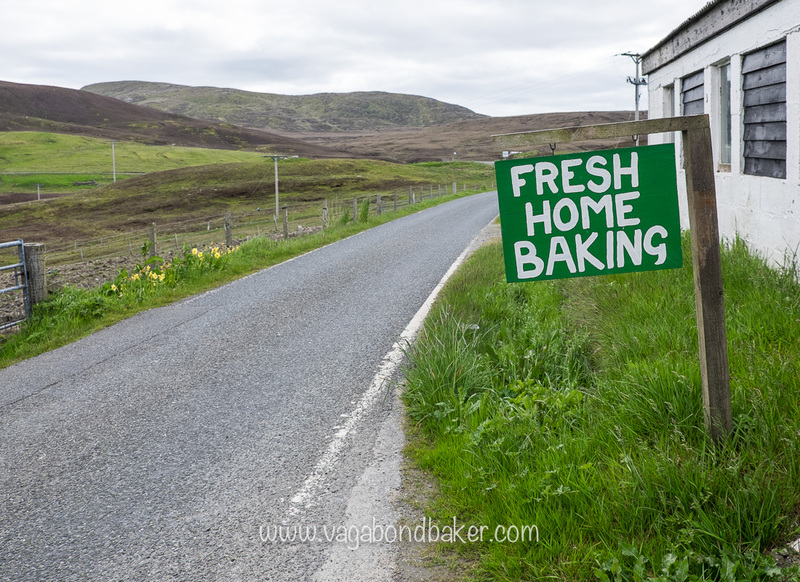 If you find yourself on the B9071 heading north towards Voe you should pass a green sign on the roadside advertising Fresh Home Baking: be sure to stop, the refrigerated cabinet at Hayfield Croft is packed with tasty home-baked treats! 5. So Much Fascinating History! Shetland has been inhabited for over 5000 years. Due to its lack of trees, stone was the preferred construction material and stone walls weather time well. 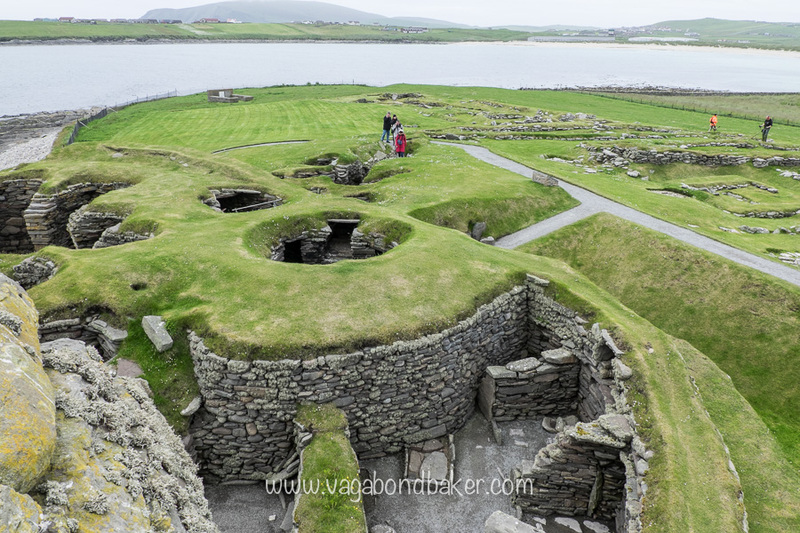 A violent storm at the end of the 19th Century tore up the land to the south of Shetland Mainland, revealing extraordinary archeological remains dating from 2500 BC to 1600’s: layers of domestic life in the form of homes built over the millennia. To walk through the stone houses at Jarlsof, under lintels that have spanned doorways to thousands of years, is a magical and fascinating experience. Curious Brochs stand silently around the coast, enigmatic stone towers dating from the Iron Age. The most complete of which can be found on the island of Mousa, standing to an impressive 13 metres high. 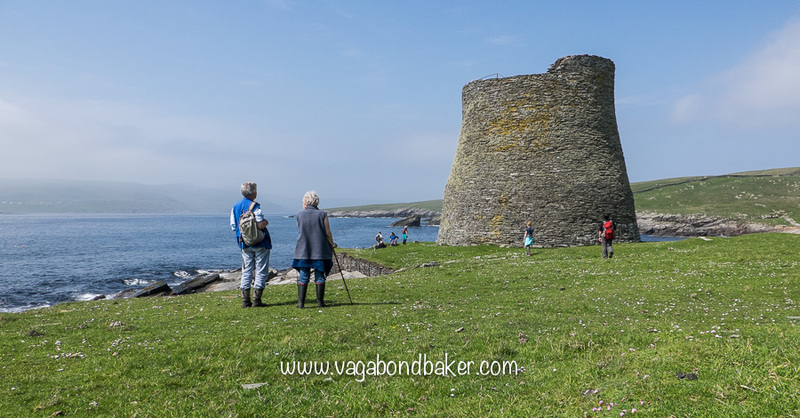 Climbing the narrow, incredibly shallow steps that spiral up through the thick double stone walls of Mousa Broch is like stepping back 2000 years. 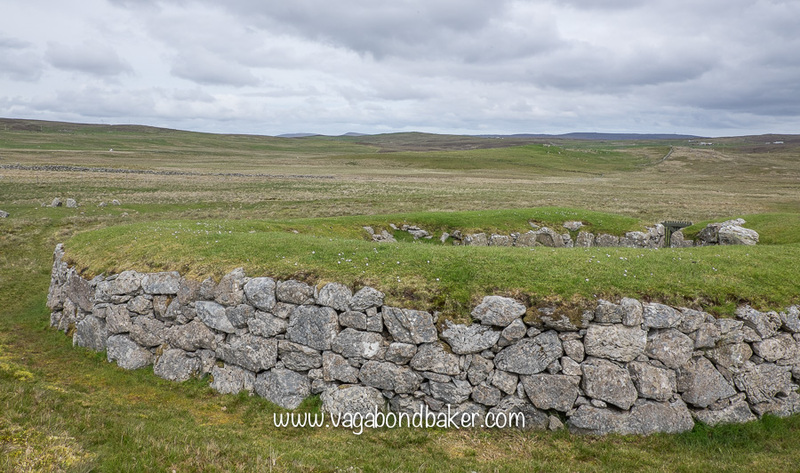 The megalithic remains of Stanydale Temple sit low on the moor in the Westside of the Shetland Mainland. A large stone building that may have been a house or a meeting place. Driftwood logs from Scandinavia would have held up its roof. From the Norse period are the stony remains of long houses and farmsteads, and much later the crumbling stone crofts stand as a sad reminder of the clearances across the islands: where people were driven out to be replaced by sheep. 6. The Beaches are the Beaches of Your Dreams! Can you believe these beaches are for real? The turquoise ocean laps onto pristine white sand, wide crescents of empty beaches. At St Ninian’s Isle a fine white tombolo links the island to the mainland. 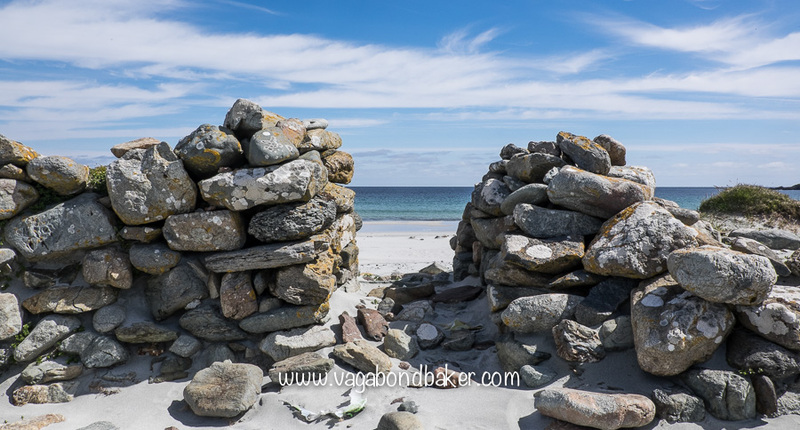 In other bays around the islands pebbly beaches can hide semi-precious stones or provide quiet nursing areas for breeding seals or nesting shore birds. 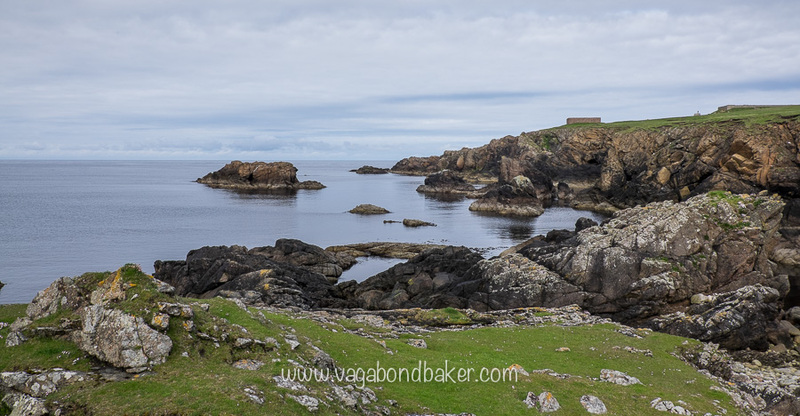 Muckle Flugga, Britain’s last most northerly islands. Imagine living here! 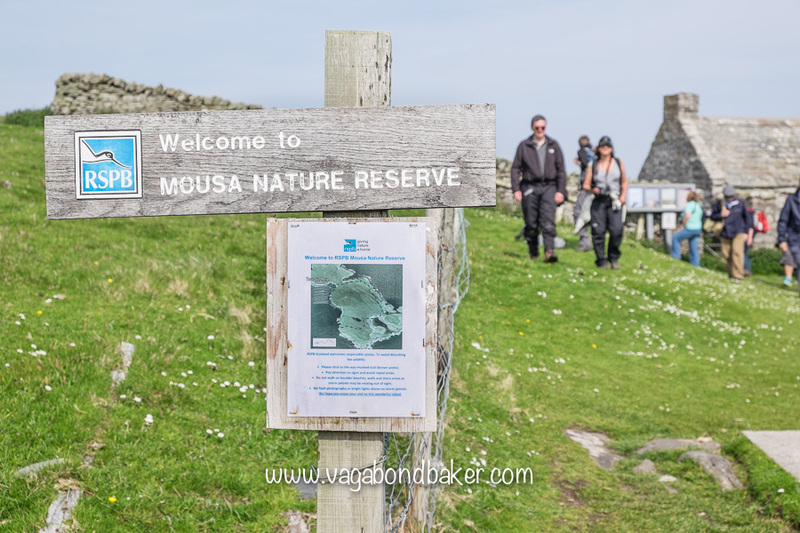 Mousa Broch stands almost exactly on the 60º north latitude; on the main road south from Lerwick you pass a small yellow sign marking the latitude line: from here you are level with Helsinki, Oslo and southern Greenland! 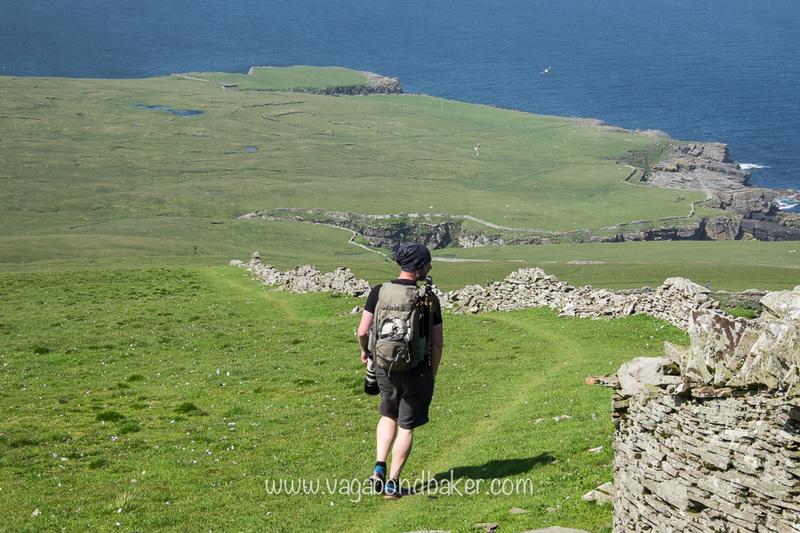 Unst is Britain’s most northerly inhabited island, just a few rocky islets step out into the North Sea from the tip. 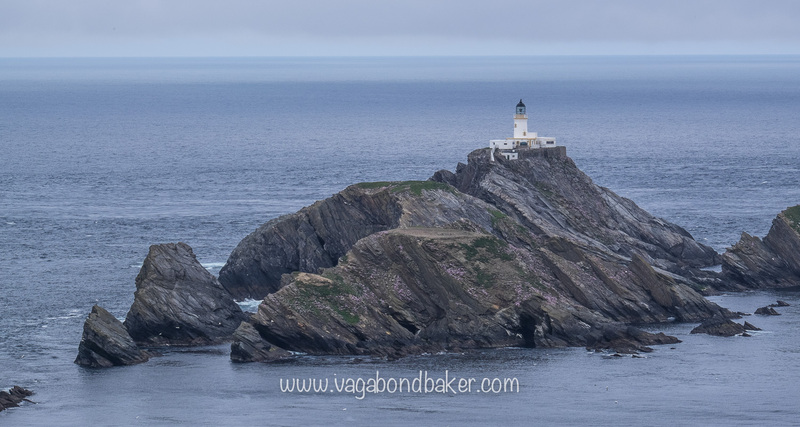 The glorious lighthouse Muckle Flugga stands steadfast on the last but one, nearby Out Stack is more north. 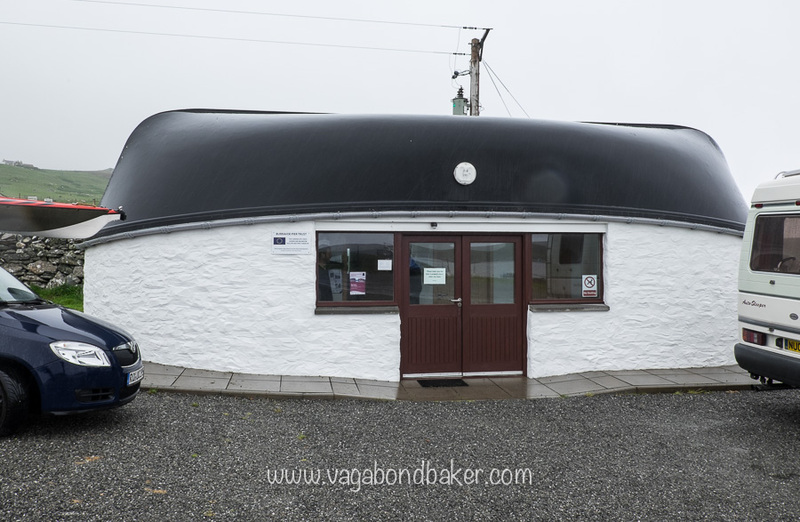 Unst has Britain’s most northerly church, post office, shop, house, bus stop – you get the idea! At midsummer the days here are very long, even way past midnight it is still light enough to see. The sun rises just a couple of hours later, it never truly gets dark. 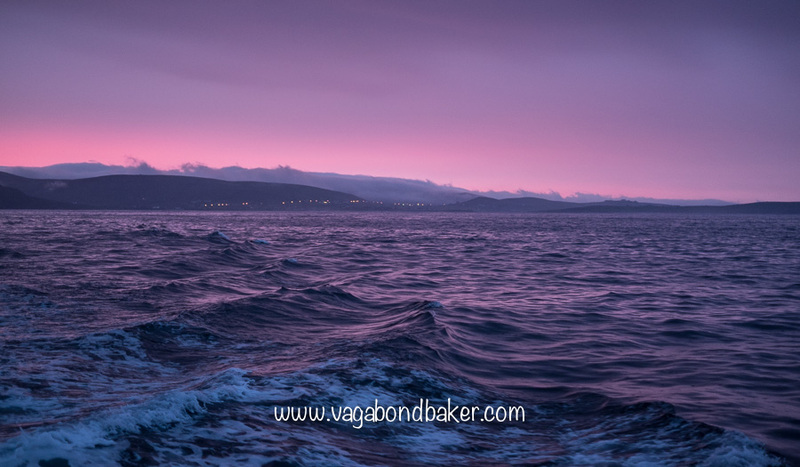 These magical nights are called Simmer Dim in Shetland, a perfect time for a wander along the beach. On the flip side, those mid winter days are very dark and brief. 8. 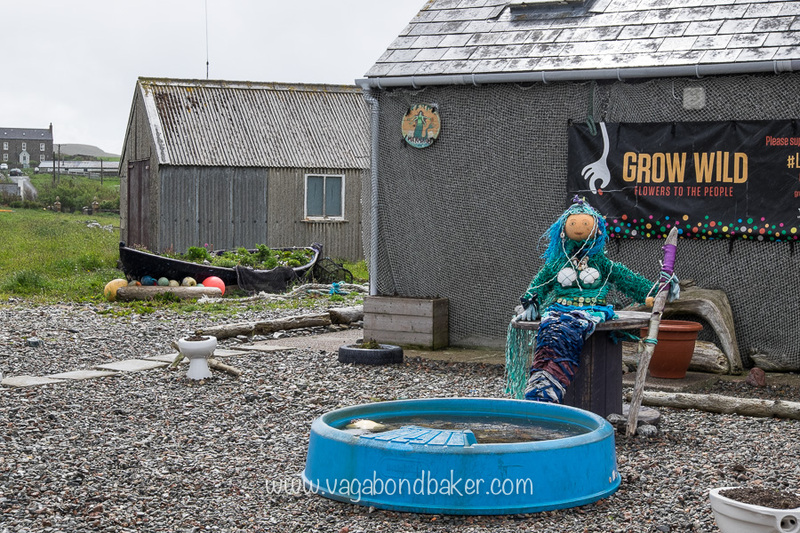 Shetland is Wonderfully Quirky! 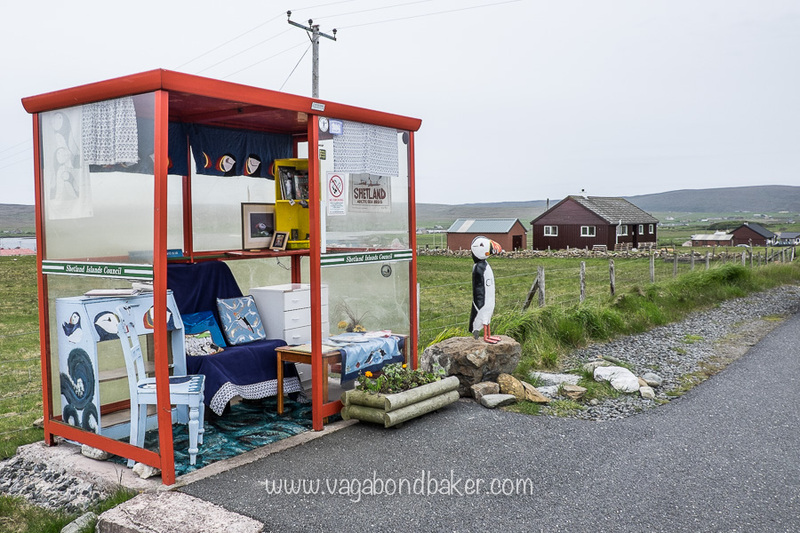 The Unst Bus Shelter, puffin-ed up. The Shetland Ponies are tiny and gorgeous! 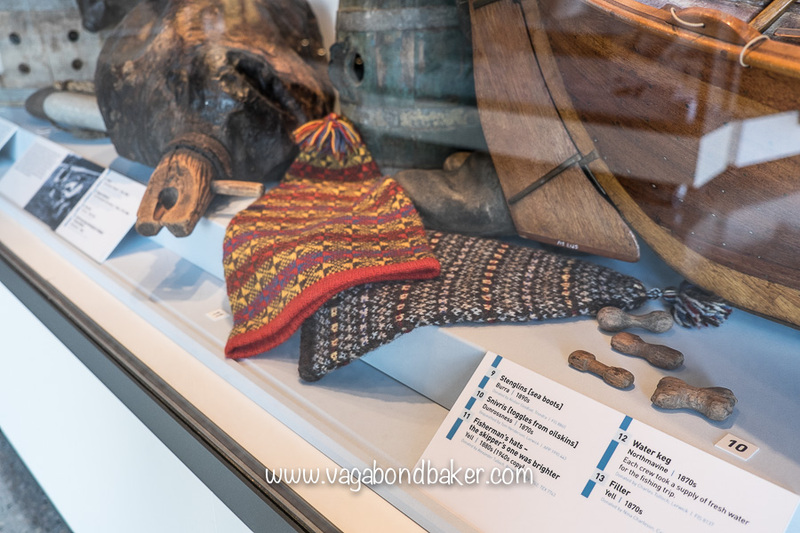 From iconic Fair Isle knitwear designs to buildings with boat hulls for roofs, Shetland has plenty to make you smile. 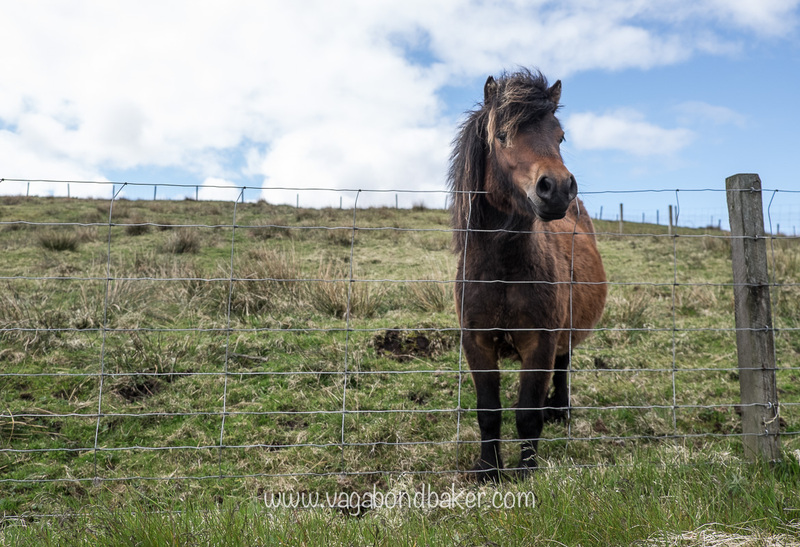 The tiny, but incredibly sturdy, Shetland ponies roam free on a couple of the island, their long fringes sweeping across their cute faces. They were once bred for the coal mines after child labour was outlawed, such was their diminutive size and hardiness. 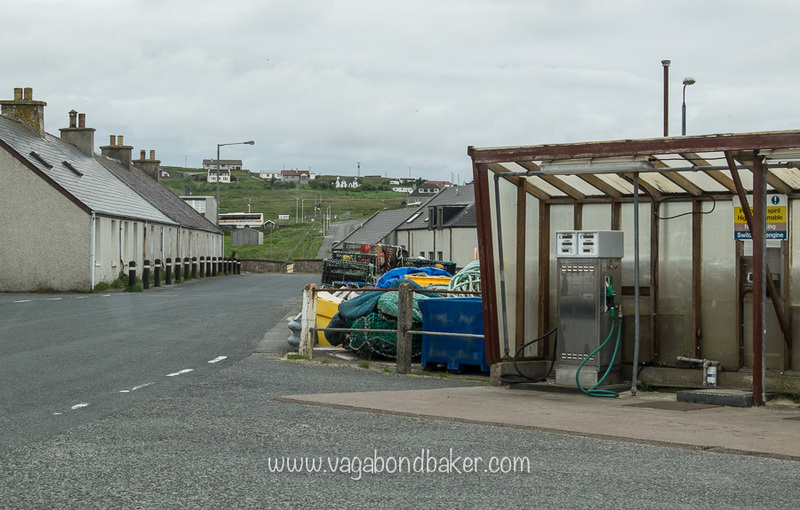 It’s quite rare on the British mainland to see independent fuel stations but over on Shetland you have to rely on them, often a couple of pumps outside the village store, it’s kinda like stepping back to a golden, pre-megabrands, era. 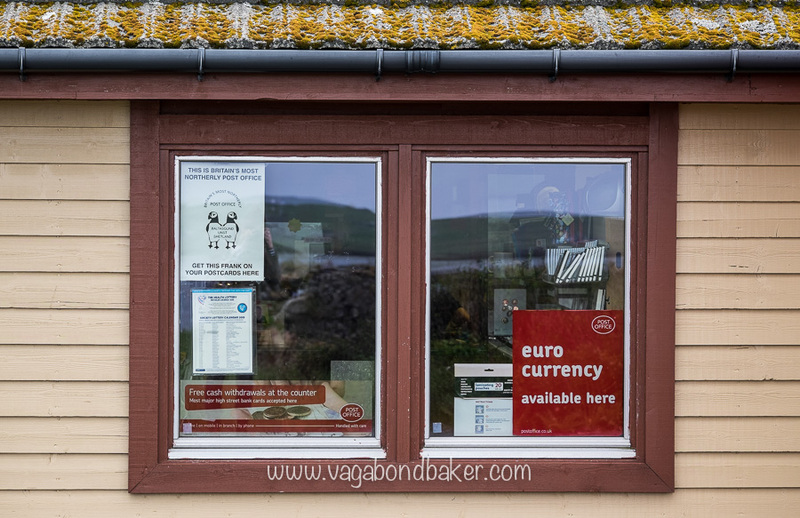 I can’t finish this passage without the marvellous Unst Bus Shelter, one of Britain’s most northerly – and probably one of the most famous – bus stops. It is furnished and the theme regularly changes, don’t forget to sign the visitor book! Incredible geology, Chris points out a seal! Edmondston’s Chickweed, only found at Keen of Hamar, nowhere else in the universe. 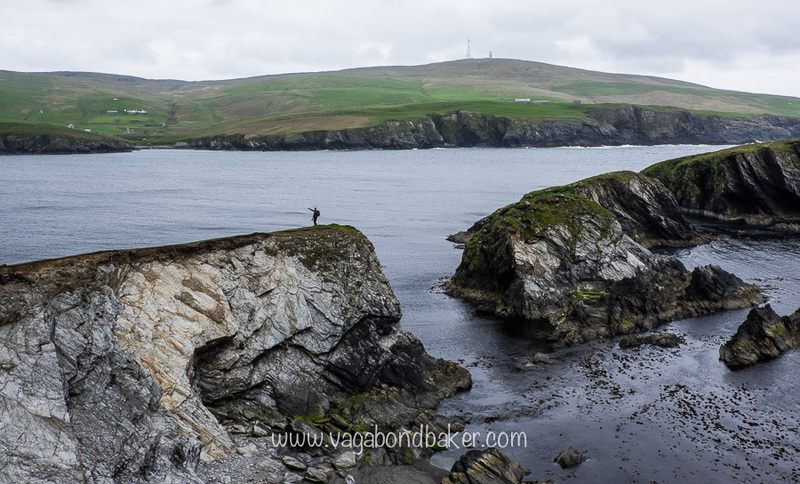 Shetland’s geological roots go back 3 billion years and they are exceptionally diverse: spend any time on the islands and it’s impossible not to notice this. 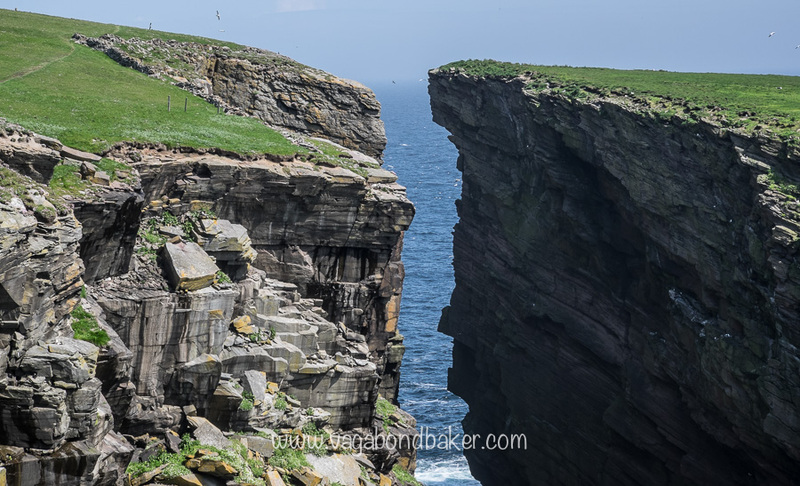 From the dark volcanic cliffs at Eshaness to the exposed sea floor at Keen of Hamar, Shetland’s geology is on show to amaze you. The sparse Keen of Hamar was once an ancient sea bed, when the continents drifted towards one another this seabed was thrown up, yet it’s very rare to find it exposed above ground. 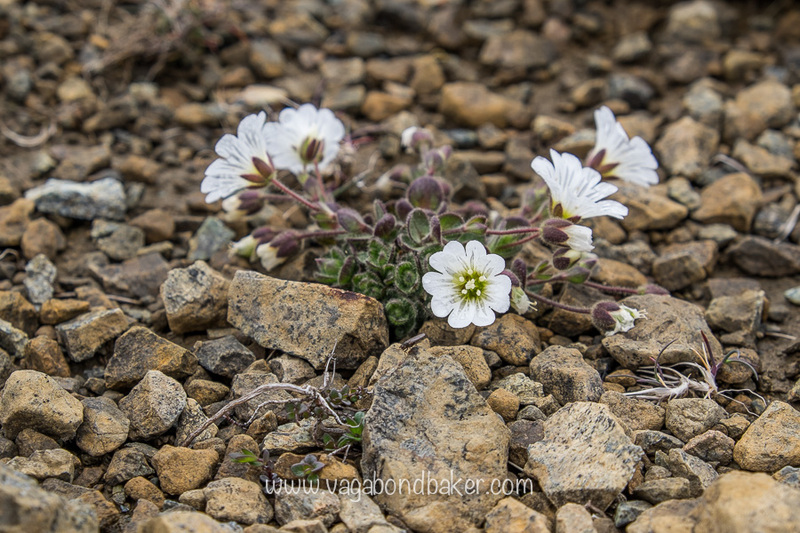 The soil on the surface is of such poor quality only speciality plants can grow on it, like the extremely rare Edmondson’s Chickweed: it only grows on the Keen of Hamar! 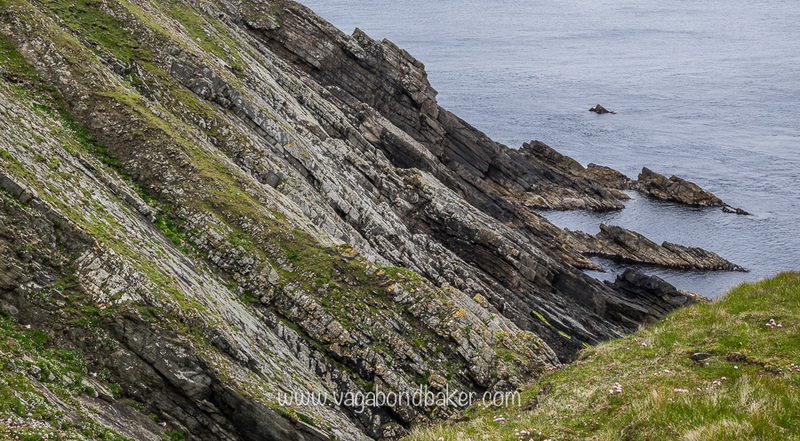 The Drongs near Braewick, Dore Holm with its impressive sea arch near Eshaness, the sheer Noop on Noss, plus the countless jagged inlets and sea stacks: there is fabulous geology on every island. 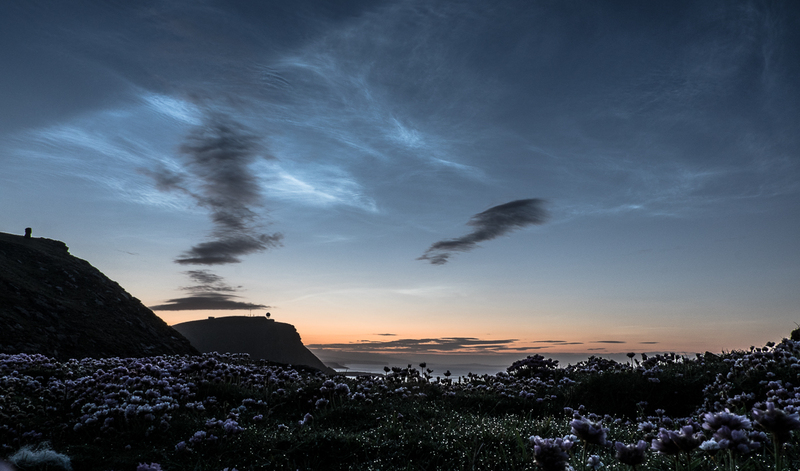 Foula is famed for its spectacular coastline! 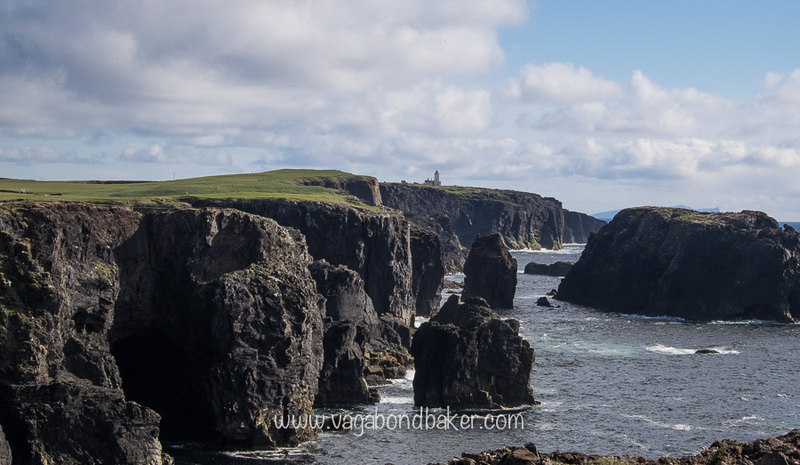 And those huge rocks on the cliff top at Eshaness? They were tossed up by violent winter waves, yes: things get wild later in the year! 10. 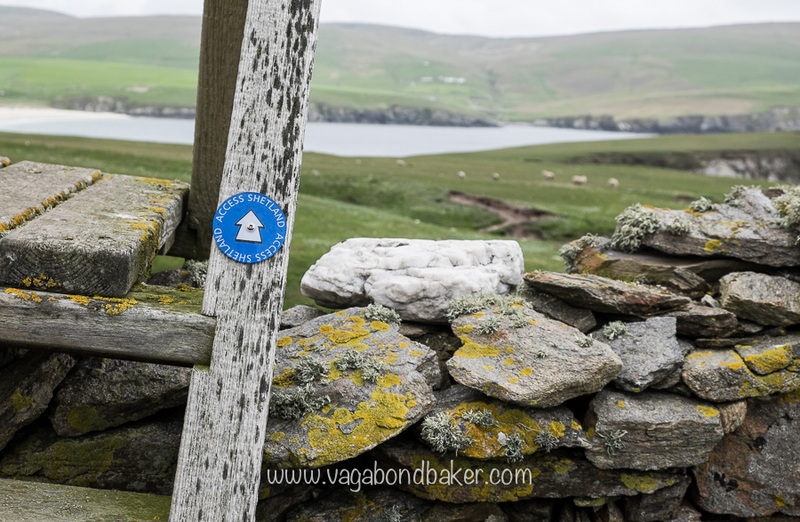 Shetland Welcomes Walkers with Open Arms. 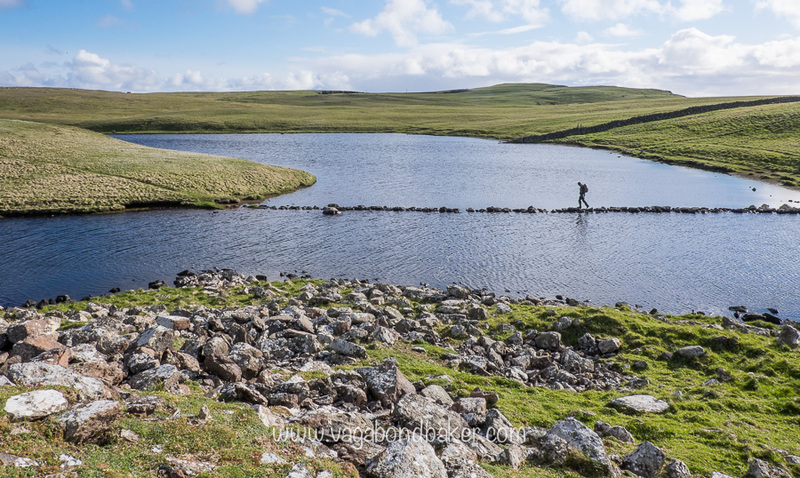 Shetland is covered with a network of ‘core paths’ making walking the islands a joy, this is on top of the Scottish Land Reform Act that gives open access to much of Scotland’s landscape. The core paths make things easier with sign posts, styles and gates. 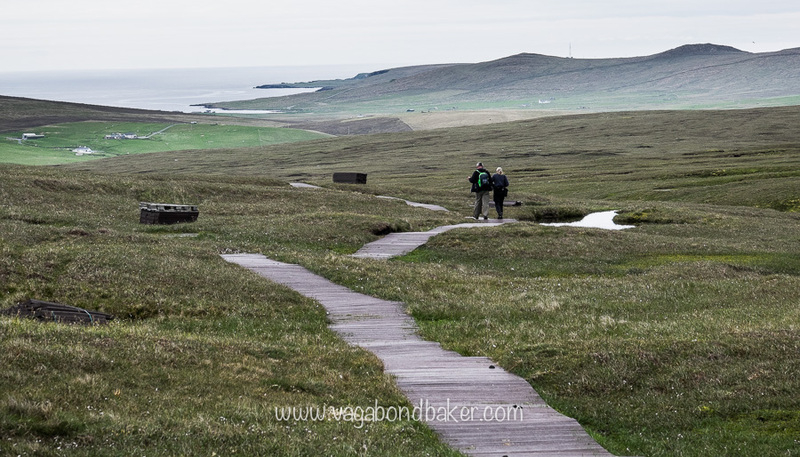 Getting out and walking is one of the best things you can do in Shetland, it’s free and it’s spectacular. Just remember, much of it is either extreme geology or a peat bog, choose your footwear wisely! 11. You’ll Take More Ferries in a Week Than You Do in a Year! 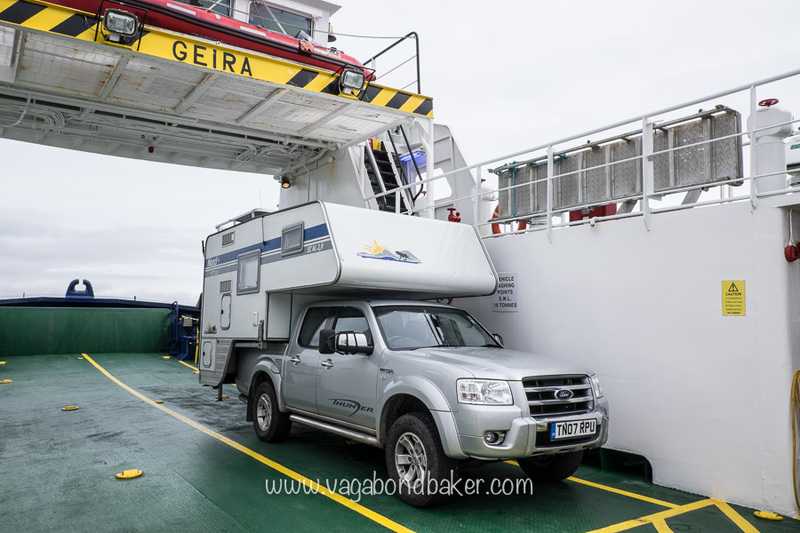 Taking a ferry always makes a trip feel like more of an adventure, and Shetland has ferries by the ship load! 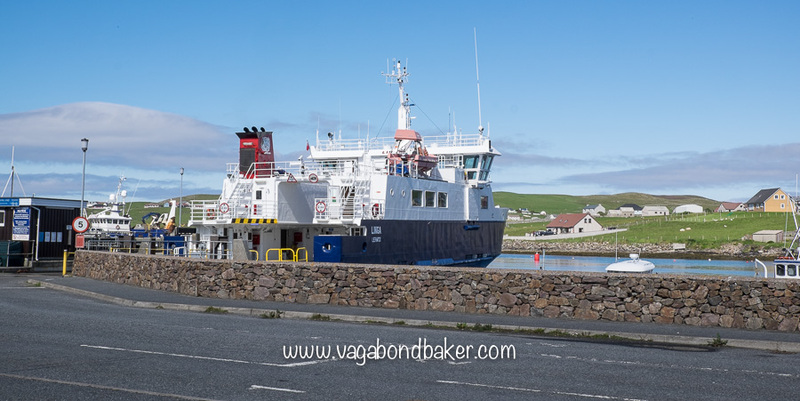 Inter-island ferries link the islands, and the ferries are great places to keep a look out of cetaceans: don’t stay in your car, get out, stretch your legs and take in the view however brief the journey. 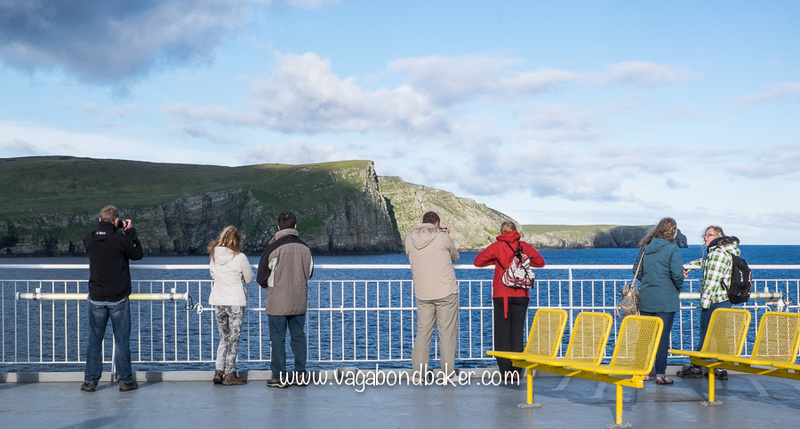 If you arrive or leave Shetland by ferry then you’ll be treated to stunning views of the islands as you cruise in or out. 12. The Sunrises and Sunsets are Spectacular! A spectacular sunrise or sunset, as far as I’m concerned, requires clouds. Clouds provide drama, the flaming sun paints them with colour. 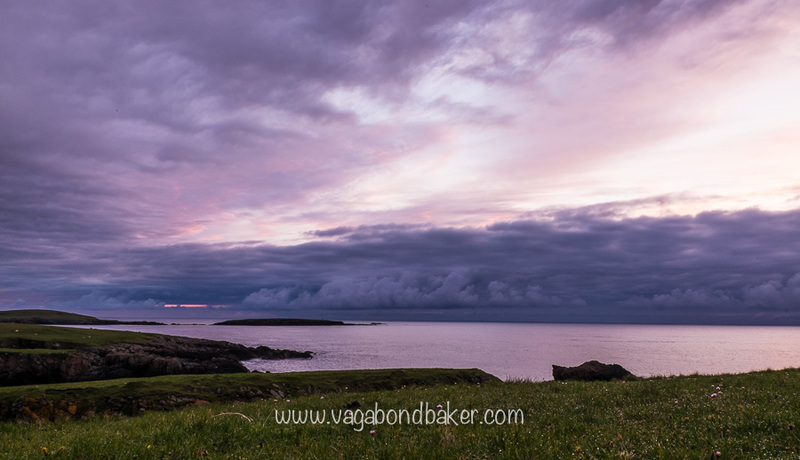 Shetland, with its northerly location is no stranger to clouds, they drift across the islands and when the day draws to a close the sun sinks seaward illuminating them with fire. If it rains that colour can become a vivid blur, a wash of neon pink. 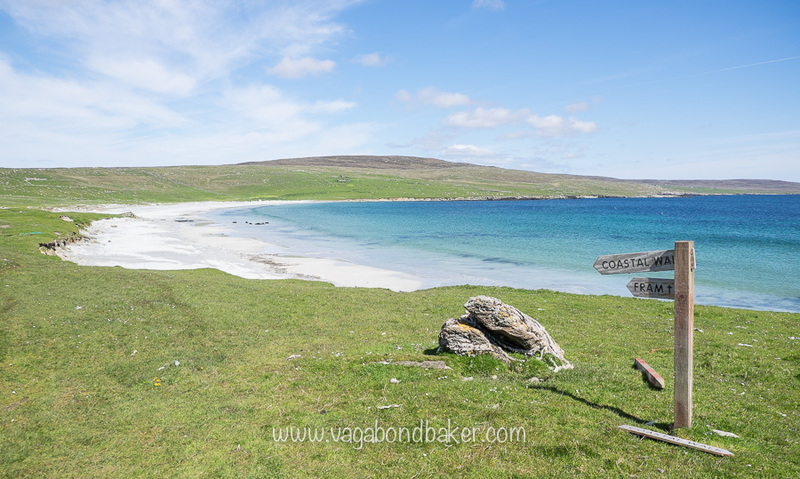 I hope I’ve inspired you to visit Shetland, that was my aim! These islands are very special, they’re very different and they’ll give you incredible memories. 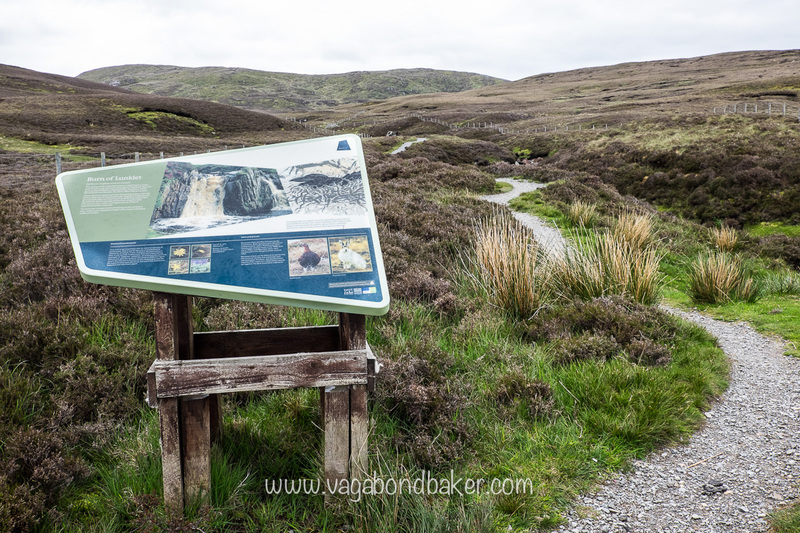 Killiecrankie: A Walk Into Some Scottish History. a legendary Jacobean rout! 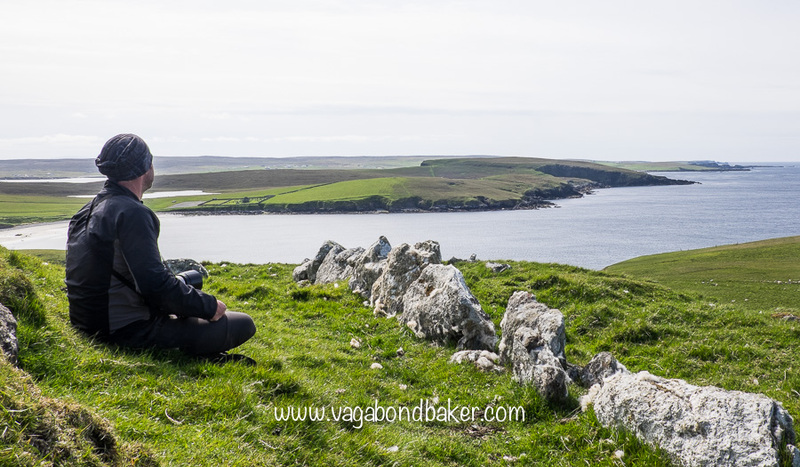 Midsummer in Shetland: Diary for week 2. 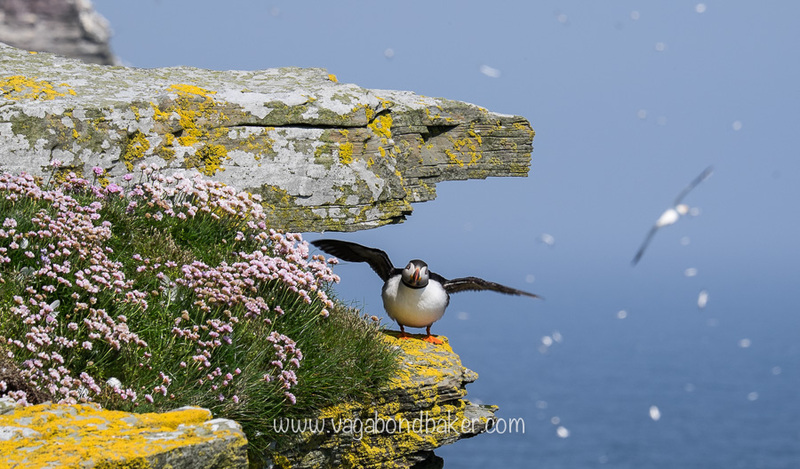 Bonxies, puffins and Britain’s rarest flower! 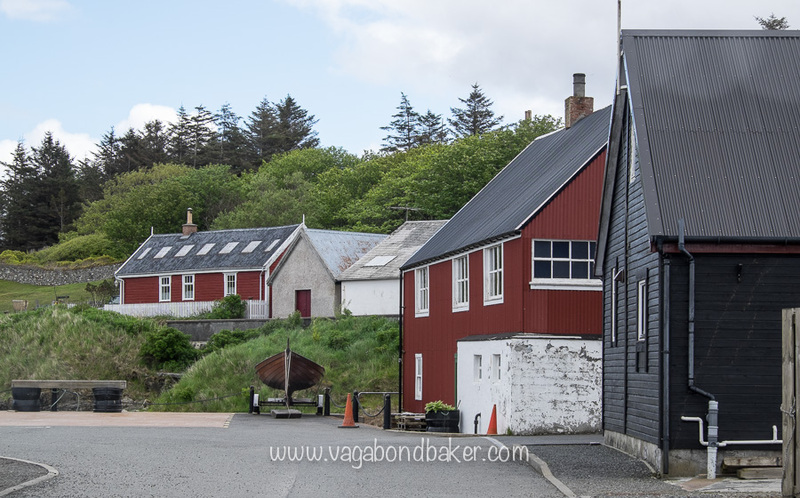 Girdle Scones and the Isle of Skye. The island of eagles, that’s how I’ll remember Skye. Hufsie Cake a delicious Shetland speciality. 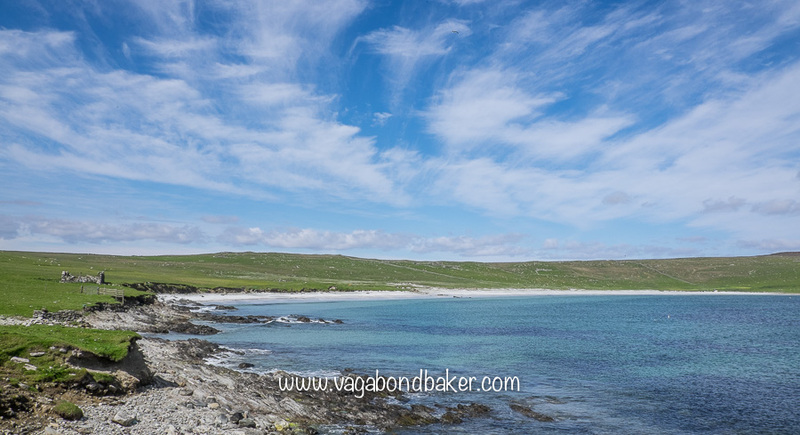 What would most inspire you to visit Shetland now? 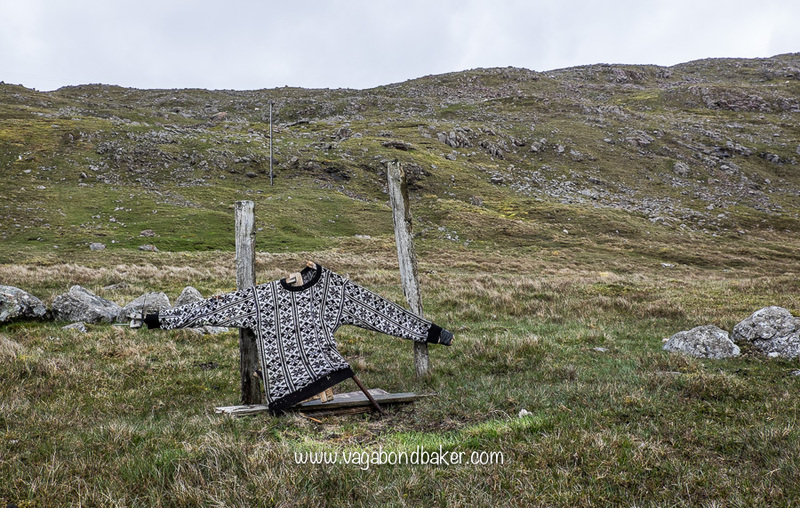 Rachel: You’ve really caught the spirit of Shetland here. Thank you. I’m half-Shetland — my mother is a pure Shetlander and during WW2 my father David Howarth was in day-to-day operational charge of the “Shetland Bus” spy ring. I’ve just come back from a week home visiting family and friends, and was delighted to find your site. I hope you won’t mind if I share it around — I too like to encourage people to visit these unique islands. Hi Stephen, I’m so happy to catch the spirit of gorgeous Shetland, it became more than just a wee holiday. That’s a fantastic bit of family history you have there, how wonderful! It was fascinating to read about it when we were there. Feel free to share this as much as you like! Shetland was not given as a dowry. 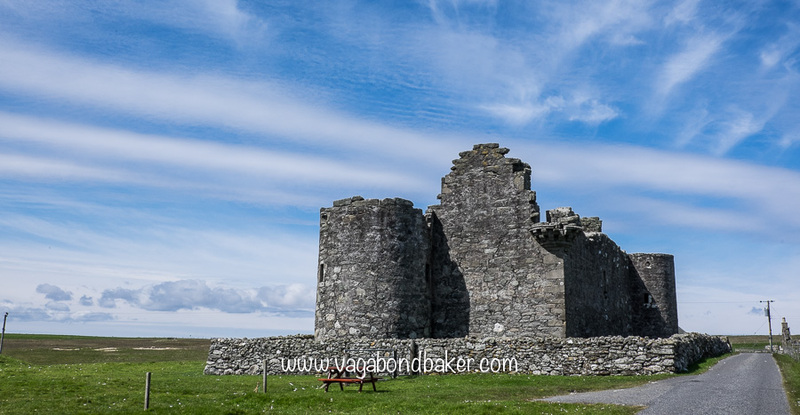 In 1469, King Christian pawned his personal lands within Shetland to King James III of Scotland to pay for his daughters wedding to King James. Over the next fifty years or so Norway tried three times to pay the pawn and therefore get the Kings land back. They were ignored and eventually gave up. Scotland took over the rest of the islands by force. Having said that, it is the most beautiful place in the world!!! Hi George! I have no idea where I read that it was! Funnily enough, I was having a conversation with a Finnish friend yesterday who was telling me about Norway having an old claim to some Scottish islands (although he didn’t know it was about Shetland) and then I read your comment this morning. How spooky! Thank you so much, I don’t like getting facts wrong! I feel that I have known my incorrect fact for a long time, so therefore assumed it was true, and never bothered to check it out. And you are very right, it’s incredibly beautiful! Have a great week! Hi Craig! Wow, that’s a long trip to go to Shetland from, but I’m glad you loved it! I’ve travelled from Scotland to see your gorgeous country! I have a friend in Lerwick. WHY have I not made a visit? Your photography was inspiring and urges me to make a visit. Thank you Helen! You must go and visit, and tour around the islands, it’s so beautiful! 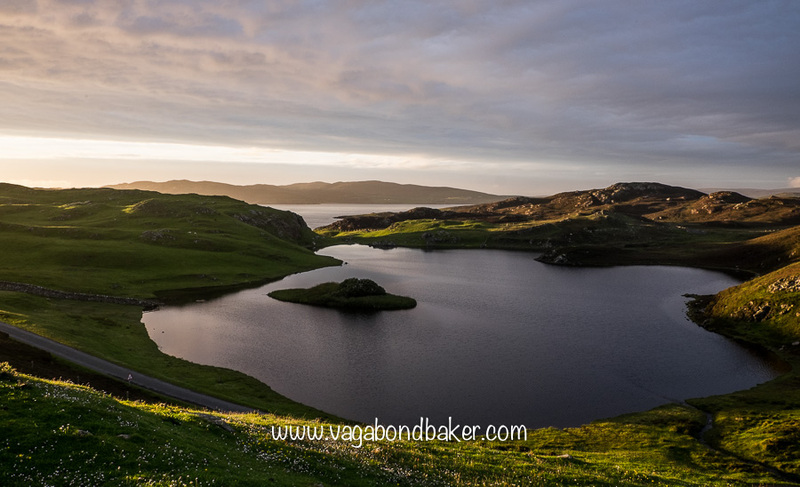 Shetland and your photography is simply stunning. I want to go there as soon as I can! Beautiful post! My heart is on Orkney for very similar reasons, but having seen this I think we will be heading up that little bit further very soon. The big draw for me is the visiting northern lights and Up Helly Aa which I want to get to at some point. Think it may be a winter visit for me! Excellent! I really want to go and experience Up Helly Aa but I can’t this winter as I’m going to be in Finland. I’m definitely going one year though, it looks so amazing. I really loved Orkney too, and I’d love to go back and visit there again. Love it! Love it! Love it! 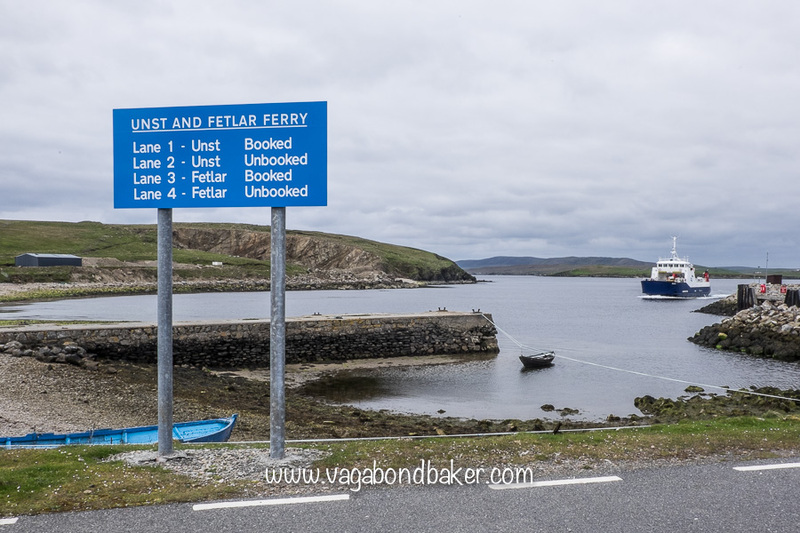 If anyone were ever in doubt as to whether to visit the Shetland Islands, they ought to read your post! I love Scotland as a matter of course anyhoo and isn’t it funny that it’s prett Nordic! It makes sense when you think about it being that far North n’ all. 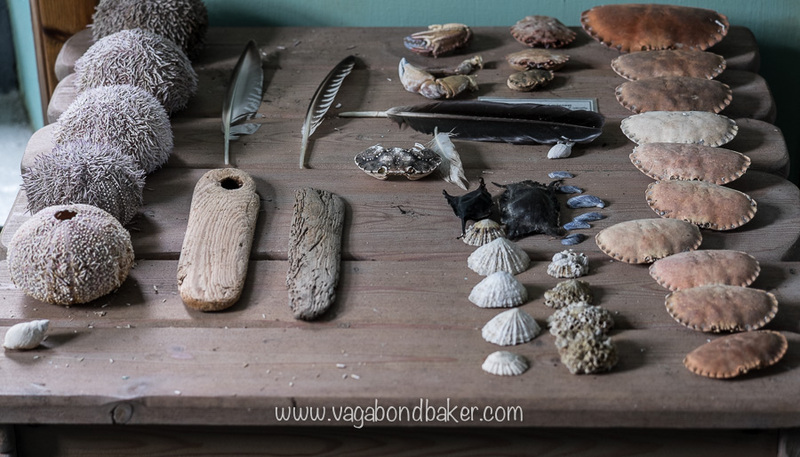 I love the quirky bus-stop and mermaid, the cake, the sea, the rocks, everything really. Count me in for another visit to Scotland lol! Oh my gosh. All your photos are wonderful and I love reading all your blog posts but the photos in this post are really, really, really out-of-this-world amazing and I now feel like I need to visit the islands like right now. Thank you for such a great post and congratulations on some of the most beautiful photos I’ve ever seen. Thanks Megan! 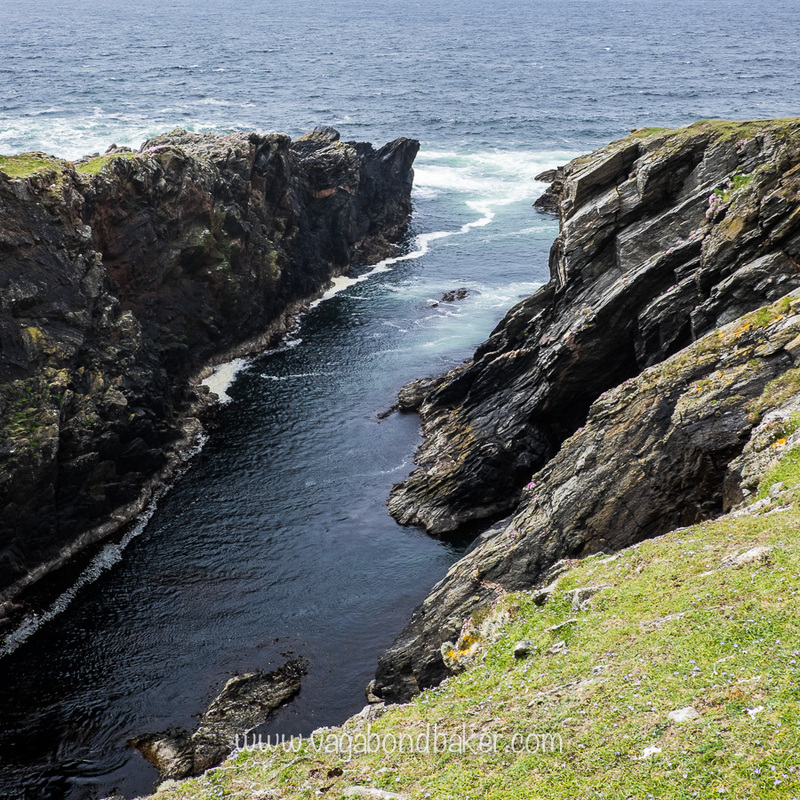 You must come and see Shetland one day, it really blew me away so incredible! I loved a lot of these things about Shetland. Particularly the boats. From the old viking boat to the boat for a roof. Also, those puffins are really cute!! Thank you Jenn! I’m glad to please you! I’ve heard only good things about this place, so I know I really need to visit soon. Those sunsets and sunrises look incredible, as does the wildlife (so cute!). Love your pics! Hi! Yes, you really must, it is so fantastic! Thank you so much! 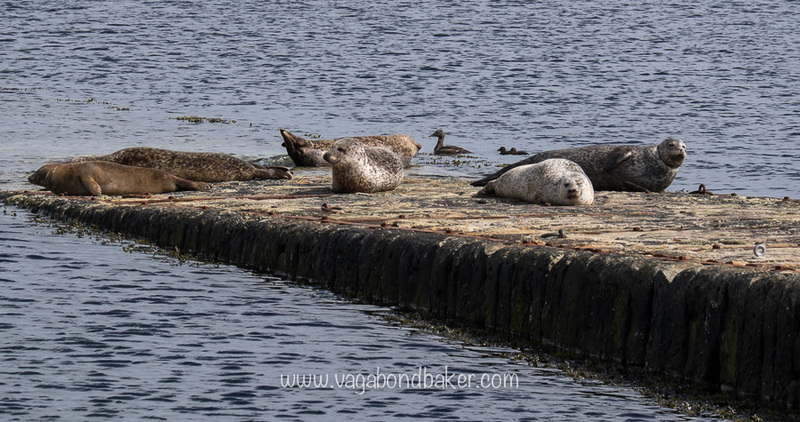 The wildlife is wonderful and pretty easy to see, even people who don’t normally ‘do’ wildlife end up going bird watching and sitting patiently for otters! wow so gorgeous. i really enjoyed your pics. thank you. i hope to get there someday. Thank you Jen! You should definitely go up there, Shetland is amazing! Wow Shannon! We must have been there at the same time! 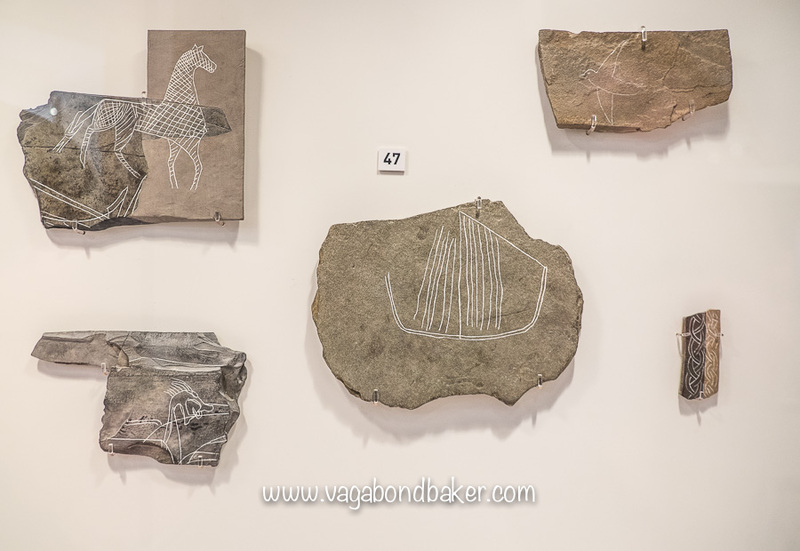 Yes, I visited Jarshof, it’s in one of my other Shetland posts, I’m a big fan of neolithic stuff so I couldn’t wait to have a look around, so amazing! Glad the pictures bring back lots of happy memories! I get sea sick too, They are overnight ferries from Aberdeen so you can pop a pill and sleep through. Or fly! The inter-island ones are such short distances it’s not a problem. The mainland is big enough to occupy you if you really didn’t want to get on one. You’ve made me want to switch off and go out and explore these lovely islands I call home! Where’s that first photo under Geology Rocks located? It’s a new one to me! It was so lovely meeting you while you were here, and I’m sure our paths will cross again! You should! While the days are still long! It was so cool to meet you and get some secret tips like that beautiful camping spot and walk, one of my favourite photos! That photo was taken on St Ninian’s Isle, if you cross the tombolo and turn left to walk around the island its on that southern tip! I will certainly be back one day and let me know if you ever go south to Dundee or England! Oh my word those sunrises and sunsets!! So stunning! This has never been somewhere I’ve paid much attention to visiting but it looks like a lovely place. May have to take a trip there one day! 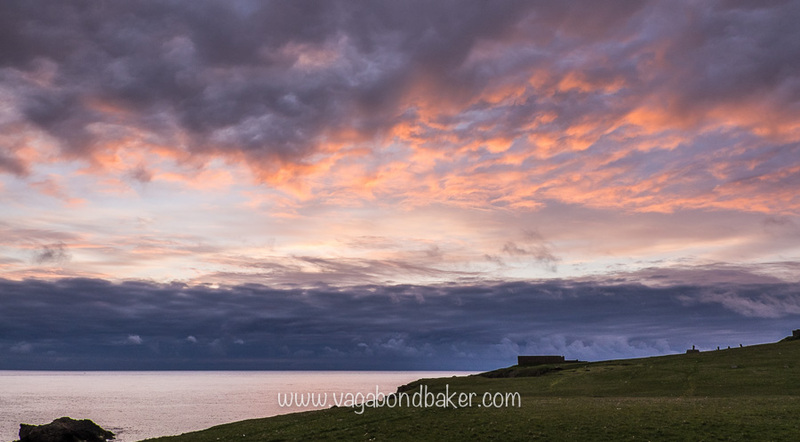 I know, Scotland and the north has the most amazing sunsets, it’s the clouds! 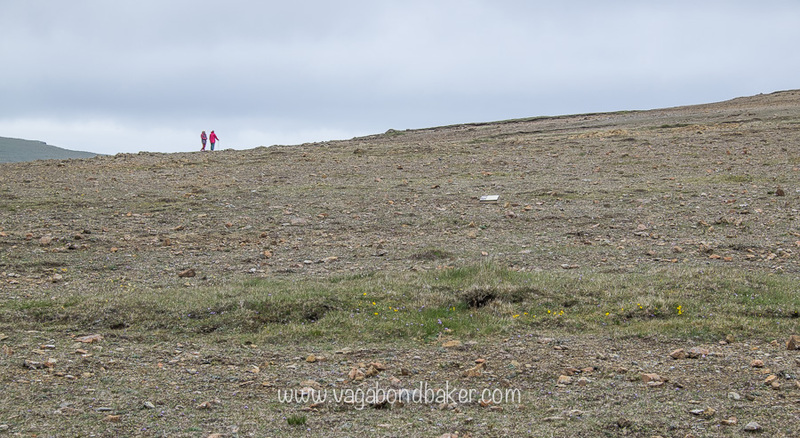 Shetland is not the warmest destination but so different, welcoming and interesting. I would certainly recommend it, having your own wheels would be a massive plus, most people fly in and hire a car.